Trove are deadly fast. They tuck their arms along their sides and slither across the plains, diving in and out of the ground and tunneling - as freely as any sea serpent would in the water. Trove at rest will use their wing-like, stiffened stone arms to lift their upper-bodies skyward, to survey the land. However, the true strength of their arms are seen in motion. 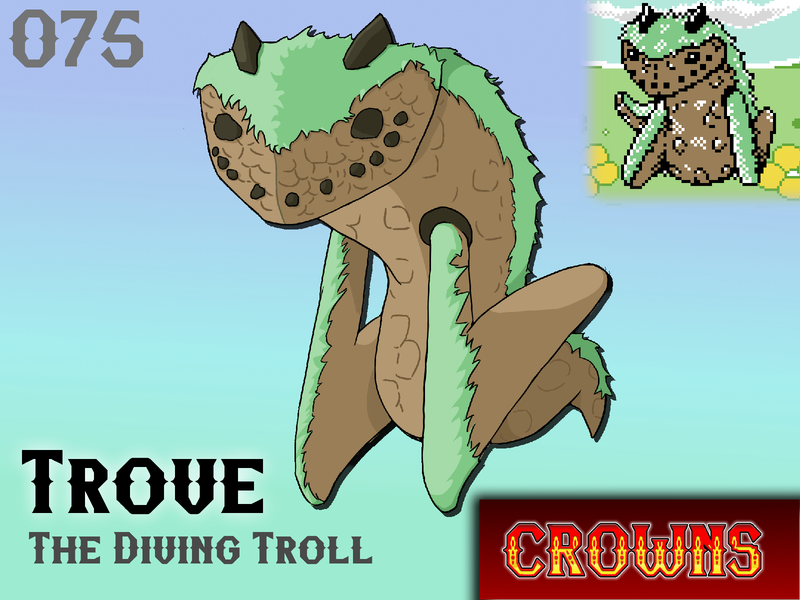 When the Trove reaches top speed it will ram its arms deep into the dirt, launching itself into an airborne dive. Once in the air, their arms extend, acting as rudimentary gliders as Trove descends on whatever it is tracking. Any seasoned tamer will know - an abandoned field covered in craters is the territory of a Trove. Only Tamers with very powerful Monsters will dare continue forward. Will Trove make your team?